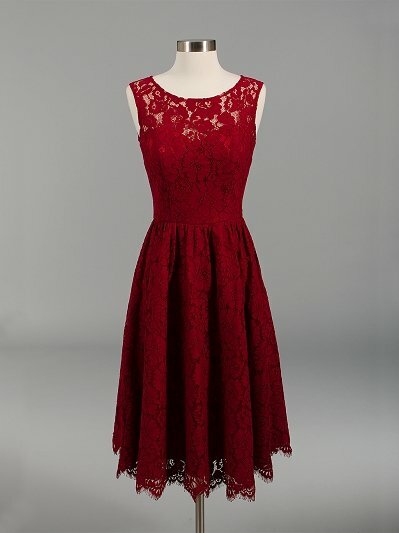 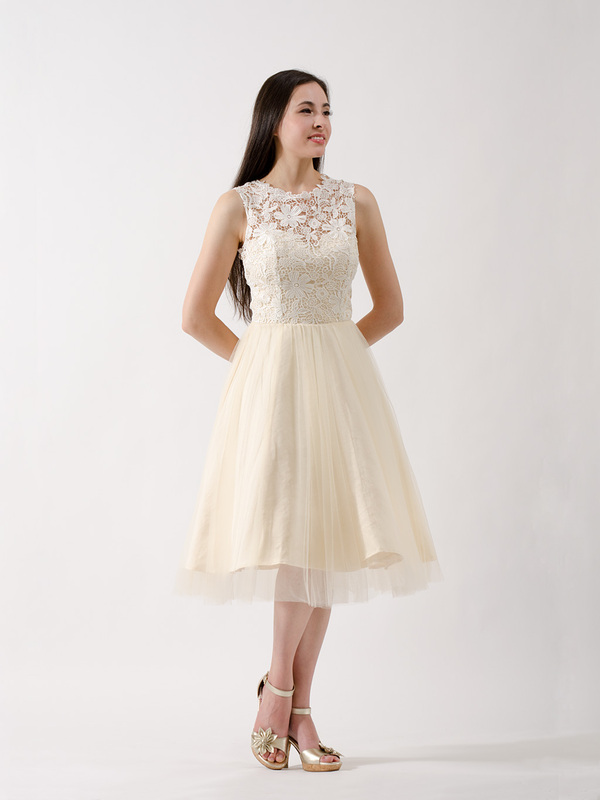 This is a lace bridesmaid dress made of delicate venice lace on the top and soft tulle for the skirt. 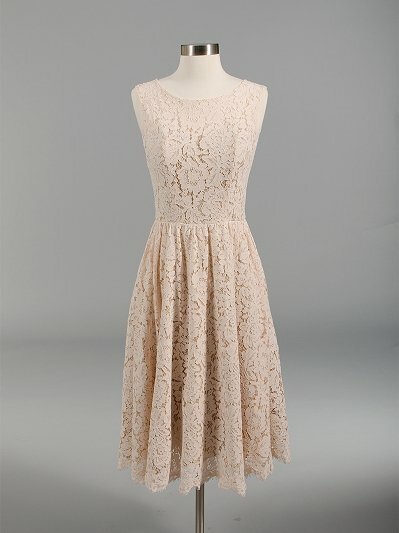 The color is champagne. 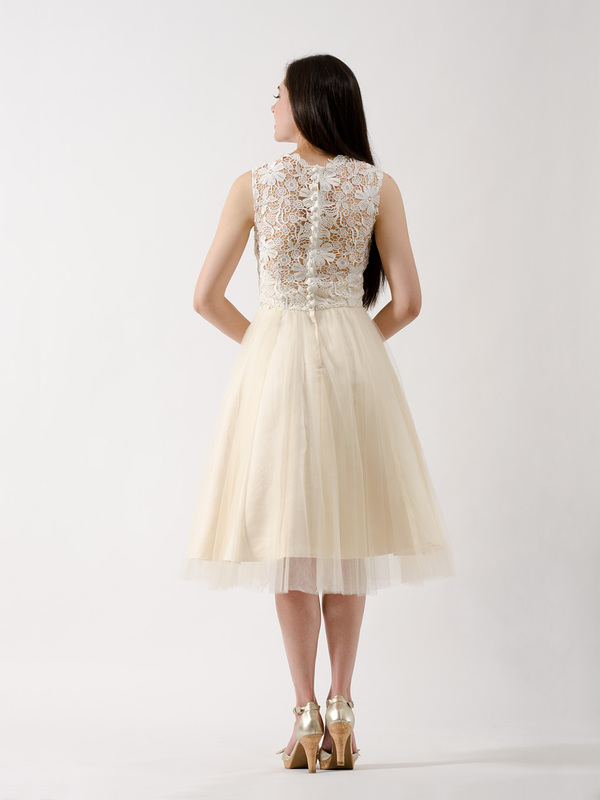 It features satin buttons at the back. 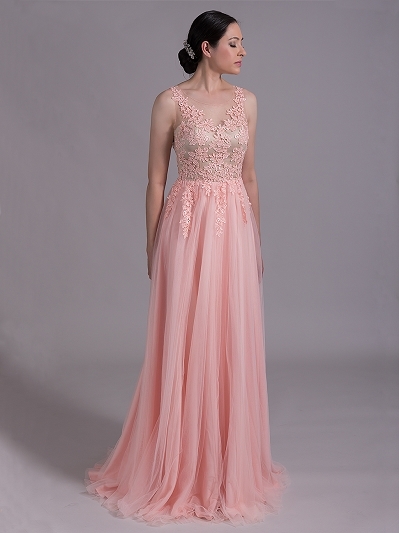 This dress is made to order and the production time is 4~6 weeks.